When it comes to kids STEM activities, you probably don’t think of Pokemon first! 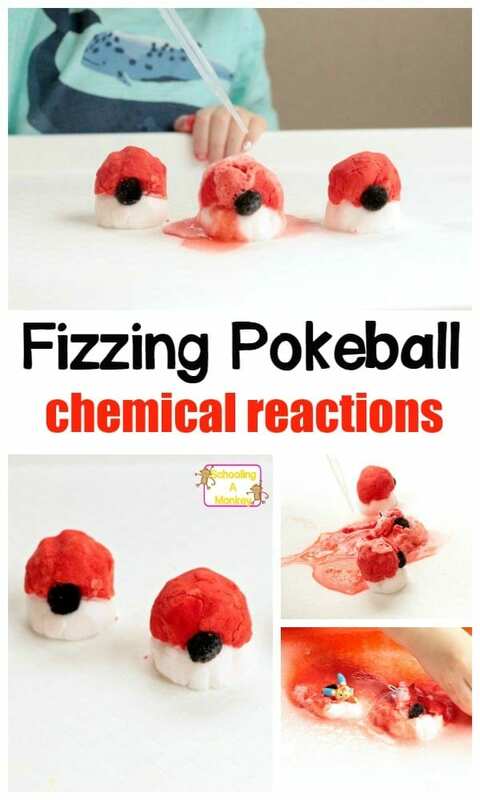 But in this simple chemical reaction science experiment for kids, kids will mix scientific concepts with Pokemon in a way that is fun and engaging for Pokemon lovers and it teaches the basics of chemical reactions, too! 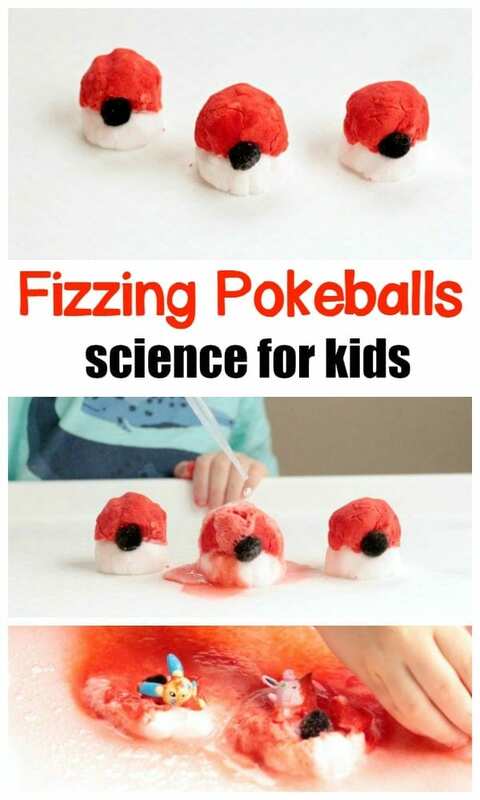 Pokeball science is a lot of fun! 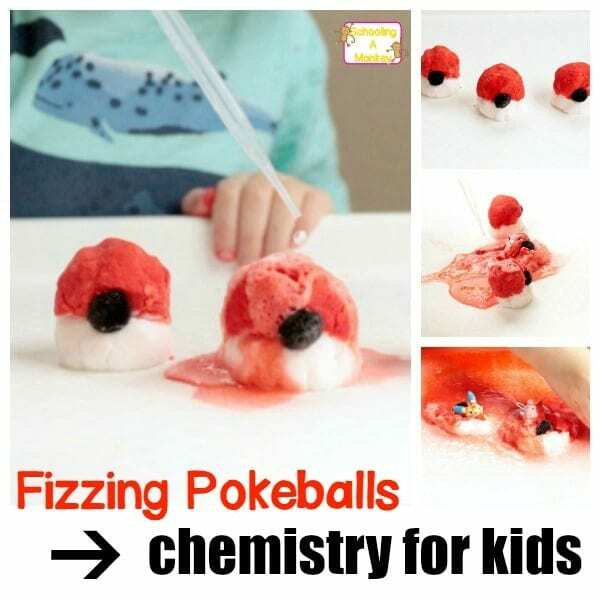 This simple science activity will have kids begging to learn more about science and STEM using their Pokemon characters in this activity to make a DIY real Pokeball. 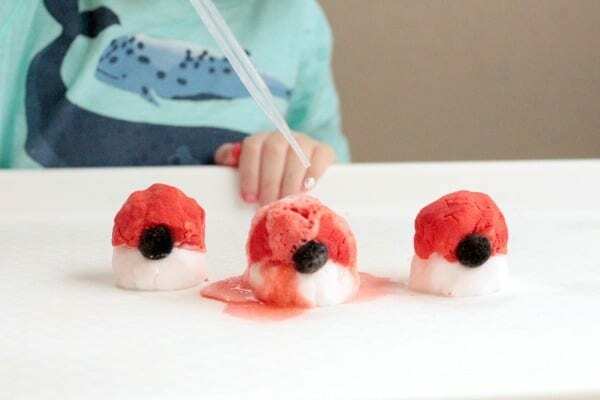 This is the perfect summer science project, or it would make the perfect addition to a Pokemon-themed backyard summer camp! Perhaps your daycare or school would love building a thematic unit around Pokemon using this project. 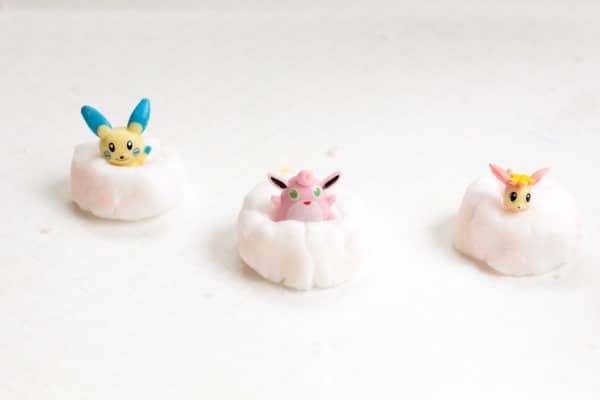 This super-simple science project will convert any Pokemon fan into a science lover. Kids of all ages from preschool up will love this super-fun science activity. First, divide your baking soda into two containers. Add just enough water to the baking soda to make a moldable paste. Dye one of the baking soda containers red. 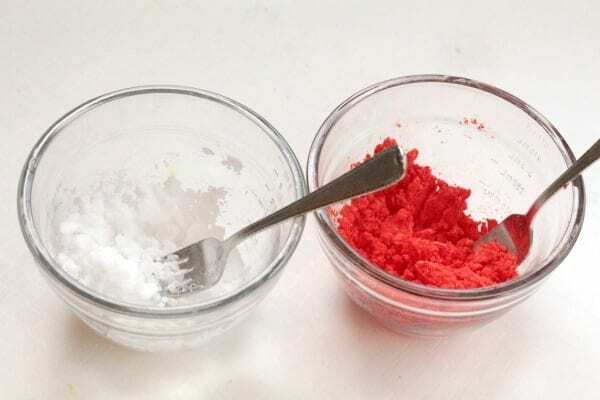 Use a lot of dye so the baking soda is a true red, rather than a pink. Form a half-ball with the white baking soda. Stick half of your toy Pokemon into each ball. 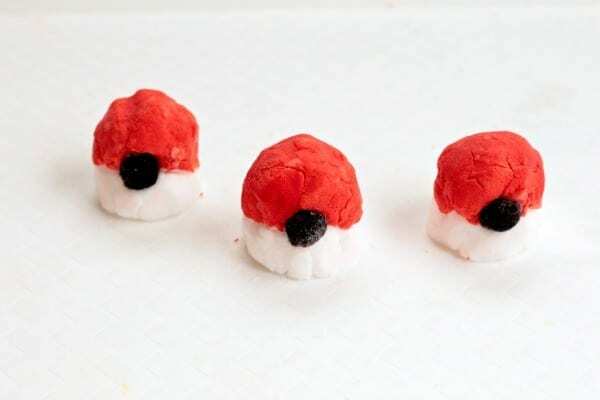 Mold the red baking soda into the top half of the Pokeball and stick it on top. Place a black pom pom in the center of the ball to make the Pokeball opening. Place your Pokeballs on your large tray. 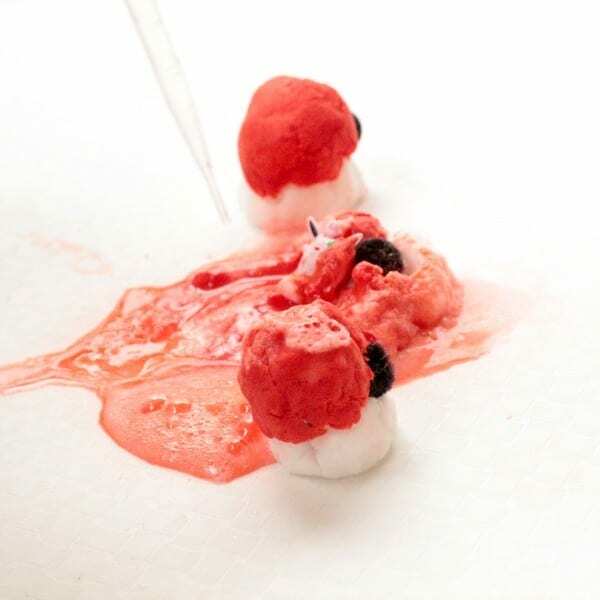 Use the pipette to pick up vinegar and squeeze it onto the Pokeballs. 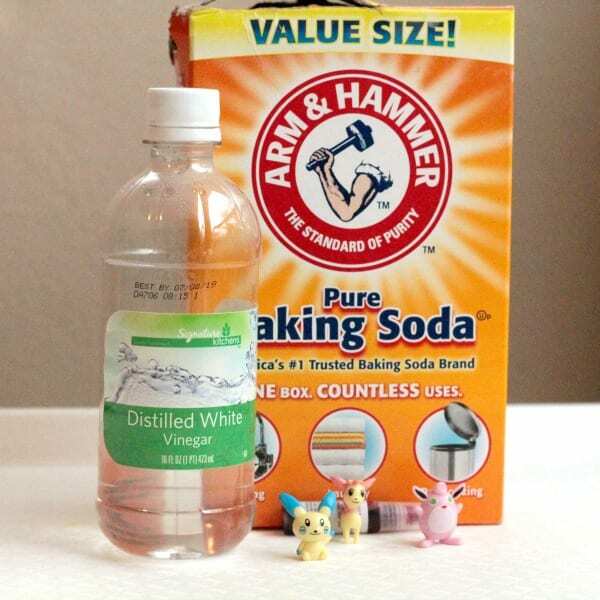 The baking soda and vinegar will react, “opening” the Pokeballs and revealing the hidden Pokemon. 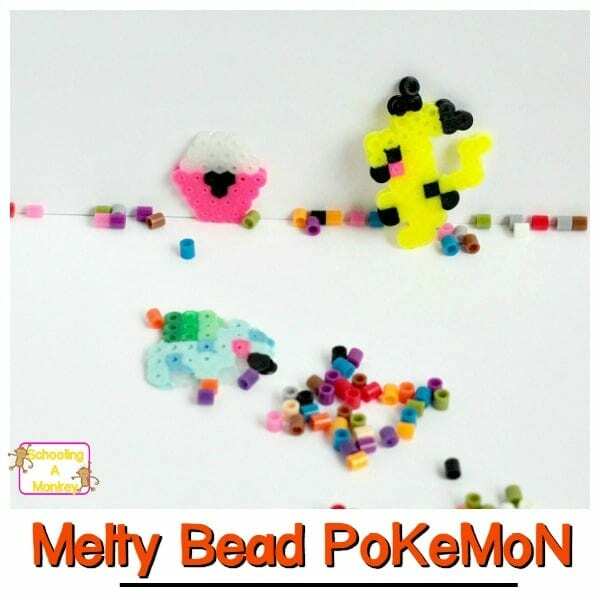 This would make a fun activity for kids to do at a Pokemon birthday party!